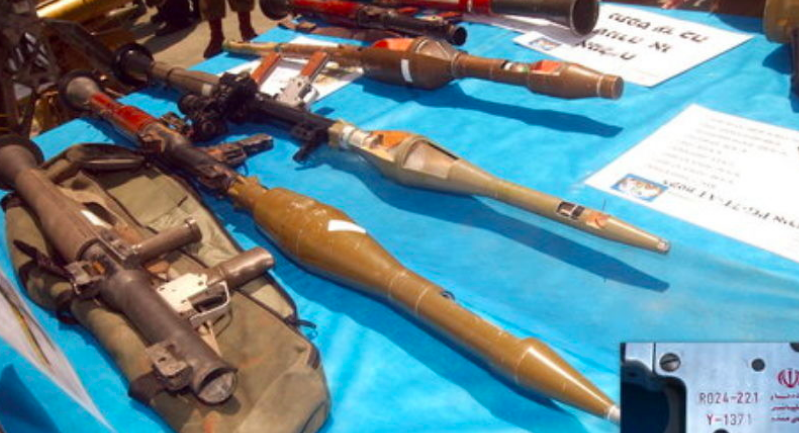 Pictured Above: Iranian anti-tank missiles, belonging to Hezbollah forces, that were captured by Israel Defense Forces in southern Lebanon in 2006. Credit: IDF. (JNS) Iran’s Fars Air Qeshm civilian airline may be smuggling weapons into Lebanon for the Hezbollah terror organization and Iranian weapons factories in the country, according to Western intelligence officials quoted in Fox News on Monday. According to the report, officials discovered that at least two flights by the airline exhibited unusual flight patterns consistent with attempts to avoid detection. One, which departed an air-force base in Tehran, stopped over in Damascus before continuing on to Beirut international airport on July 9. Another left Tehran and landed in northern Syria on Aug. 2. The anonymous intelligence official told Fox News that Iranians are testing the West’s abilities to track them and are trying to find new ways to smuggle weapons. Reuters reported last week that Iran had transferred short-range ballistic missiles capable of striking Israel to allies in Iraq in recent months.